[S205] Newspaper, Watertown Daily Times, 20 June 1914. [S392] Website findagrave.com (http://www.findagrave.com/) "# 116492330." [S97] John Bernard Burke, Burke's Peerage, p. 1360. Rev. George Worsley was born on 15 November 1761. He married Anne Cayley. Rev. George Worsley died on 4 February 1815 at the age of 53. [S205] Newspaper, The Advertiser, 1 February 1929. [S205] Newspaper, The Advertiser, 23 July 1913. [S107] 1880 US Census, Lebanon, Grafton, New Hampshire. Christopher Wright was born on 31 October 1926 in Chicago. He was the son of Professor Philip Quincy Wright and Louise Maxey Leonard.1 Christopher Wright died on 9 May 1989 in Washington, District of Columbia, at the age of 62. Elizur Wright III. Eminent as one of the founders of sound life insurance in Massachusetts.2 He was born in 1804 in Connecticut.1,3 He married Susan Clark on 12 September 1829 in Groton, Massachusetts.4 Elizur Wright III died in 1885 possibly in Medford, Massachusetts. [S245] Joseph Palmer, Necrology of Harvard I, p. 147. [S205] Newspaper, Independent Chronicle, 5 March 1810. [S205] Newspaper, American Advocate and Kennebec Advertiser, 25 February 1815. [S205] Newspaper, Daily Globe. (St. Paul, Minn.), 1 May 1880. Miss Wright graduated from the Northwestern University, Evanston, Illinois., A.B., 1866, A.M., 1868. She taught in Plainwell, Michigan, being the first woman superintendent of the graded schools of a town in that state, and subsequently devoted herself to the promotion of the higher education of women and the woman suffrage movement. 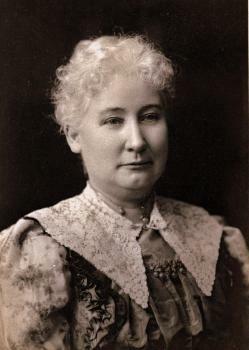 She became principal of the Girls' Classical school, founded by her husband in Indianapolis, Indiana, 1882; and in 1891-92, traveled extensively in Europe in the interests of the Congress of Representative Women at the Columbian exposition, 1893, of which, as the president of the National Council of Women of the United States of America, she was the organizer. She was chairman of the executive committee of the National Woman Suffrage association, 1882-89; member of the Indiana commission in the board of World's Fair commissioners, 1892-93; president of the National Council of Women, 1891-95 and again, 1896-99, and in 1899 was made honorary president. She was president of the International Council of Women, 1899-1904, and was sent as a delegate to the Universal Congress of Women in Paris, 1889, where she delivered addresses in French; to Halifax, N.S., 1897; to Ottawa, Canada, 1898; to London, 1897 and 1898, and to The Hague, 1898. [S160] New York Times, 24 July 1920. [S392] Website findagrave.com (http://www.findagrave.com/) "# 46013222."